After the crop failure caused by lack of adequate rainfall, many parts of Kenya are experiencing acute food shortage with cases of people dying of starvation reported in some parts of the country. The long drought periods have adversely affected most parts of Kenya, leaving many water sources dry. Lack of this vital commodity had threatened the lives of many residents from the drought stricken areas. Following the soaring prices of basic commodities in Kenya coupled with crop failure, many families have had tough time putting bread on their tables. Most affected are the rural areas where lack of sound economic activities and rain dependent agricultural practices dominate their lives. Many a people have been reported to have lost their lives in the different news media. In response to this adverse situation Bilal Muslim Mission has been distributing food to all its 15 centres located deep in the rural areas. 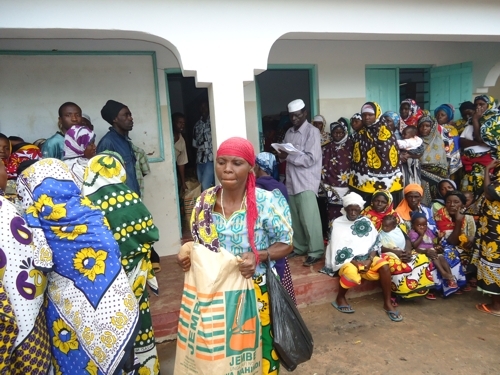 On 6th May 2011 all the 15 centers benefited from this program, where more than 2,400 families benefited from maize meal ration. 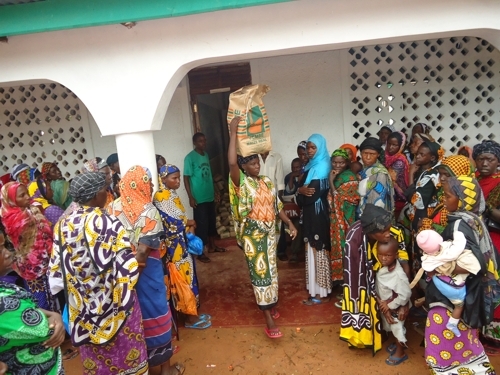 Another food distribution to most affected centres of Mackinon Road, Samburu, Chengoni, Masongaleni, Kilungu and Nzavoni were carried out on 31st May 2011, where more than 1,000 families benefited from another round of maize meal ration. 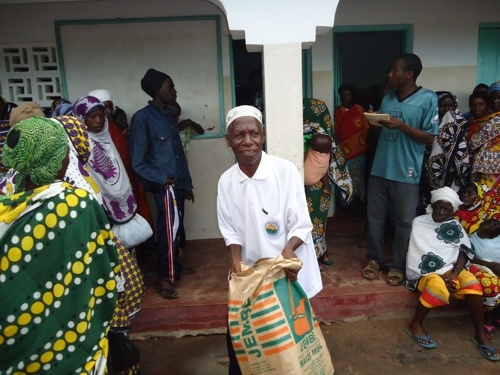 Bilal Muslim Mission of Kenya extends its gratitude to Comfort Aid International and other generous well wishers who have contributed in material and in kind to put a smile on the face of children, women and old men by putting food in their tables.